You Can’t Kill Rock and Roll! 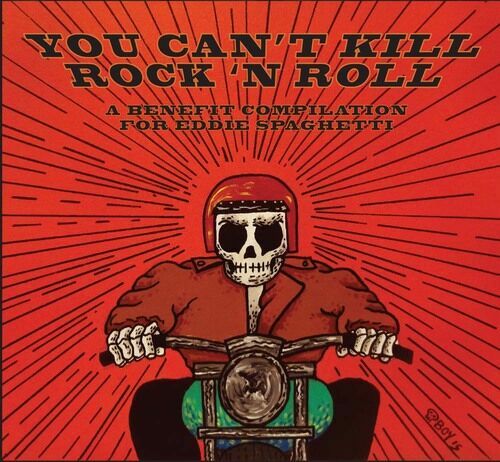 “You Can’t Kill Rock ‘N Roll” is a fund-raising compilation for Supersuckers’ frontman Eddie Spaghetti’s fight against stage three oropharynx cancer. It features unreleased tracks from Mudhoney, ZEKE, Jack Endino, John McBain, the first track that The Derelicts have recorded in 25 years and many more! It’s a limited release and only available on CD (No digital download). Posted on January 16, 2016 Author Jerry ActuallyCategories Music News, New ReleaseTags help, music, rockLeave a comment on You Can’t Kill Rock and Roll!